It is your story. It is alive. We all learn the most in life in critical situations. This was and still is the case im my own life as well. Therefore I picture values and conflicts which today are as present as then. The young men in those combat aircraft of the Second World War went through hell for us! Experience it by reading. History, war and suffer do not need to reoccur in our life if we know it, see it, feel it and stand for it. There lays the key for today. Heroes are not born . They are created by life. It is our life. And our story. 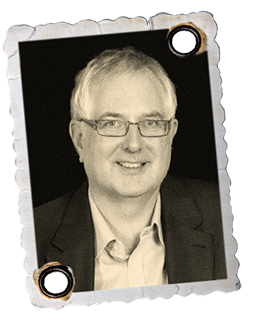 …(born 1957) carried out intensive, investigative research worldwide for twelve years. The author was given access to private archives which would otherwise be denied. He interviewed numerous surviving pilots and contemporary witnesses. He analysed countless eye witness accounts and meticulously checked them against historical facts. Aerial warfare experts from all over Europe shared with him their knowledge and their enthusiasm for this theme, which he then captures in this book. 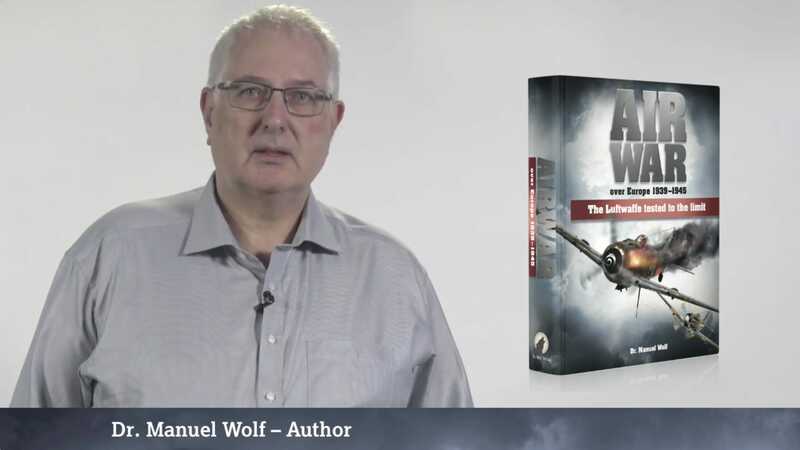 Manuel Wolf has dedicated his book “Air War over Europe 1939-1945: The Lufwaffe tested to the limit” to his father Gottfried Wolf, who saw action as a young fighter pilot during the last days of the 2nd World War. Dr Wolf, you are a doctor by profession. That’s a strenuous job. What led you to work on such a project for so many years? The theme had interested me for a long time. You can get some insight into my motives by reading a passage in the preface about Oberst (Group Captain/Colonel) Walter Oesau who flew to his death merely to prove to his commander-in-chief, Hermann Göring, that he wasn’t a coward. Göring had contemptuously implied this just because, instead of taking part in a combat mission, he had, for once, remained in bed with a high temperature. This touched me deeply. It started with rather unstructured collections and comparisons of events. But then I found something which really caught my attention, something like a common thread, which kept cropping up in much of the source material. This source material was either dubiously journalistic (like some television documentaries) or often deliberately detached and dry with hardly any trace of emotion. From my point of view, this doesn’t do justice to the human tragedies that took place everywhere during the 2nd World War. In your book you don’t just describe these tragedies. The reader discovers a wealth of historical and technical information. Does this 360° view explain more than 14 years of work on this book? Yes it does. To create something which, in the meantime, is considered to be a standard reference work, you have to really knuckle down to it. It doesn’t just happen automatically in passing. A book should, of course, aim to inform. My goal was to provide something for everyone who is interested—meticulously researched details for historically adept experts as well as basic knowledge for anyone dealing with the subject for the first time. A complete overview of the progress of the combat operations, including the inner logic and background to the decisions, as well as a huge number of experience reports, some of them from contemporary witnesses. In addition, original photos and images of selected dogfights. Last but not least, I wanted the book to be well-balanced and in no way gloss over or glorify events. It should, however, provide a vivid description of the events—often a very difficult balancing act. You claim that the military-historical sources don’t do justice to the events. What exactly do you mean by this? This doesn’t apply to all the sources. In the meantime one can gradually see a more differentiated approach to reporting. There is, however, a tendency in many publications to judge things in a biased, humanly utterly uncompassionate and politically opportunistic way, ignoring the emotions felt by those involved at the time. After the war German pilots were defamed as militarists, stigmatized as Nazis and therefore often had difficulties finding a job. This happened despite the fact that a law from the Weimar Republic period, which also remained valid in Nazi Germany, had expressly forbidden German officers from becoming members of a party—even the National Socialist Party (NSDAP). Major Günther Rall recounts these facts and talks of the personal difficulties he experienced throughout his life as a result. It’s largely unknown that many members of the Luftwaffe of that period still to this day feel ostracized and misjudged. After the publication of the first edition of the book—at that time not as an independent self-publication—I received calls from former fighter pilots who, over the phone, could hardly control their tears because they finally had the feeling of, for once , being understood. This made all the effort worthwhile. German pilots, who undoubtedly fought politically on the wrong side, are condemned in many journalistic reports in an undifferentiated way as the devil’s henchmen. The fact is they were. There’s no question about it. There’s widespread agreement on the character assessment of such people as Göring and Hitler. However, I would also not wish to speculate at this point about the reputable scruples of such men as Sir Arthur Harris, Sir Winston Churchill or Josef Stalin. Nevertheless, there are extracts here of a letter taken from another book (excellent and well-reflected it must be said) which provide insight into the motives of the German fighter pilots. If you wish, I can read it to you. What motives did these pilots have? It is important for me to help people to understand that the daily fight for survival and the desperate need to protect one’s own country made such a reasoned view of the political reality largely impossible, though many journalists retrospectively demand this of those men living under the conditions at that time. Today, with all the knowledge now at our disposal, it is obvious. My pleasure. Thank you for listening so openly.